It’s time for the forth and final workshop! We had a really positive response from Co-Design that got us thinking about real life implementations that could happen within the Pocket Places along Rye Lane. Co-Implement is the next step, we want to encourage you all to start thinking and planning realistically about how these interventions can be made a reality through the use of collaboration and the exploration of ideas, expertise and materials. There will always be chances to get involved but as things progress now is the best time to come along. So join us for the Co-Implement Workshop at Rye Lane Chapel (beside Clarks), Rye Lane on Saturday 27th July from 1-3pm. Remember this is the final workshop before we start progressing further with our ideas so please try to make it to Co-Implement if you can! 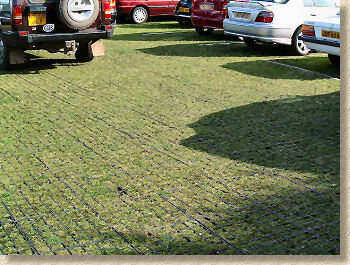 100% permeable green alternative to tarmac… yes please! here are some of the benefits… grass systems are cooling to atmosphere, rather than tarmac which being black holds the most heat and adds to city heat waves, they absorb rainwater back into the ground so reduces flash flooding and overloading of drainage systems, they give a feel of a park when not in use, they can be cycled on/played on and used for purposes other than parking, etc etc. also… like tress, grass helps to clean polluted air!! !